We work with employers across the North East to create opportunities for our participants and help improve awareness of health in the workplace. Take a look at the companies we’re working with. 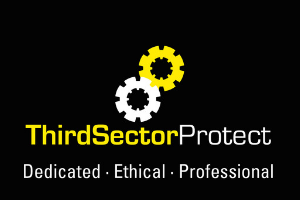 ThirdSectorProtect is a charity insurance broker who from their Gateshead Head Office, help not-for-profit organisations protect their staff, volunteers, trustees and ability to trade with great value insurance solutions. From new start community groups with just a few volunteers to national charities with hundreds of staff, the team at ThirdSectorProtect provide friendly, expert advice to charities, CIC’s, social enterprises and all types of voluntary organisation. ThirdSectorProtect also works with organisations like the Institute of Fundraising to help make sure charities of all shapes and sizes get the much need support they need to achieve their aims and objectives in a long-term and sustainable way. ThirdSectorProtect has been working with the Employer Engagement team at Moving on Tyne & Wear to help local people get into work. This work has included running a workshop in their Low Fell head office whereby they shared their thoughts on what employers look for when recruiting including tips on CV writing, how to impress at an interview and how to stand out when looking for work. ThirdSectorProtect is also providing personalised, one-to-one support to Moving on Tyne & Wear service users so they acquire the knowledge, skills and confidence required to not just get a job, but to get the job they really want. Frank Recruitment Group is a global leader in staffing for specialist IT professionals. Since 2006, the company has connected businesses of all sizes with permanent and contract workers; from start-ups in need of a single developer to international enterprise clients building a complete team in a new country. Over a decade later, the firm has nine brands working out of 15 offices over four continents and more than 1,500 recruitment consultants dedicated to finding the very best talent. As a trusted local employer, Frank Recruitment Group is a reliable starting point for people in the North East, both for jobs in recruitment as well as technology vacancies around the world. Frank Recruitment Group is working with Moving on Tyne and Wear to help people in the North East get back into work. This includes office tours to get a feel for the working environment, followed by CV workshops where service users are shown how to make themselves as appealing as possible to potential employers. This will be followed by mock job interviews to give them the confidence and skills going forward into real life situations so that they can impress and get the job that they want.